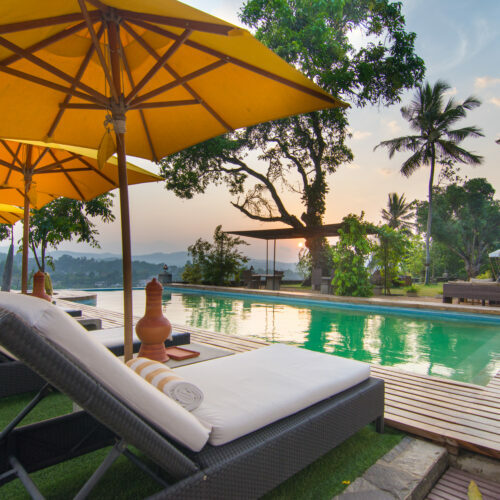 Located on a private road just minutes from the ancient city of Kandy this serene colonial bungalow sits on a hillock offering magnificent views of the surrounding countryside. Once home to a local nobleman, who housed elephants in the gardens, it is now a luxury boutique hotel. Five of the rooms are located on the upper floor of the main house, whilst one suite is located in a separate garden cottage. 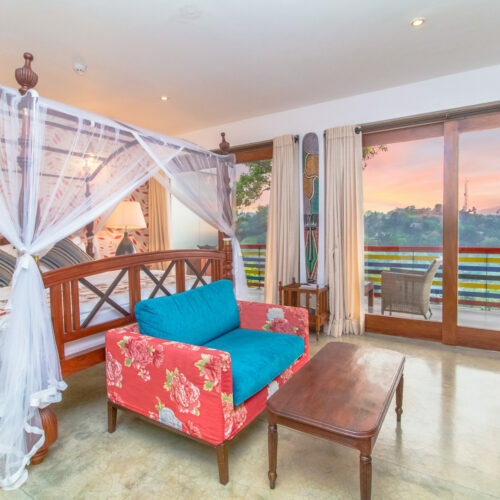 The rather grand luxury tented suite has two bedrooms, living room, reception and bathroom. This is an intimate property providing excellent personal service, where the guests can even take a city tour in one of the restored vintage cars. The scenic grounds have a good size infinity pool and there is a local yoga teacher and massage therapist available on request. The reading room and bar offer cosy places to unwind at the end of the day, whilst the restaurant serves up a feast of at least ten different local curries.